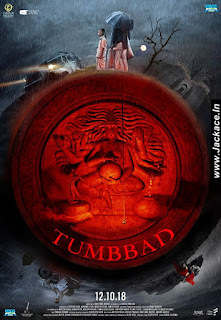 Tumbbad starring Sohum Shah, Jyoti Malshe, Dhundhiraj Prabhakar Jogalekar, Anita Date, Deepak Damle & Ronjini Chakraborty had got approx 600+ screens across India. Rahi Anil Barve's Directional venture Drama-Horror-Thriller Tumbbad is a small budget movie. Tumbbad Should cross 15.00 Crore to be called a hit and it will be considered average if crosses 10.00 Crore. 6 comments to ''Tumbbad Budget, Screens & Box Office Collection India, Overseas, WorldWide"
It will cross 10 crore definitely. Kindly update it in regular basis. Kindly update sir. It is still running in theatres. Film already touched 15 crore and it is still running and it is a hit.